Sam Gray’s heritage is multi-tribal, so it’s no surprise that he pulls design elements from other southwestern influences into his work. 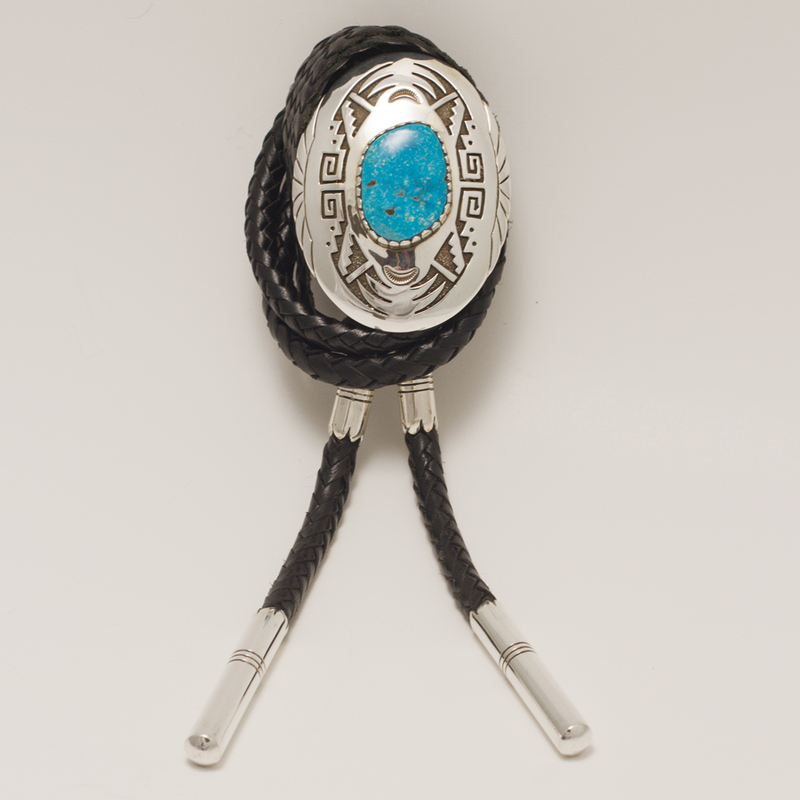 This tie features a large specimen of Nevada’s Blue Gem Turquoise surrounded by traditional life and step patterns of the Hopi tribe. The combination of stone and overlay makes Sam’s work unique and contemporary. This tie is on a 46″ 10 ply black leather custom braided cord with custom flat end tips and 1 pair of ferrules. Hallmarked with Sam’s Buffalo stamp, “SG” and Sterling. 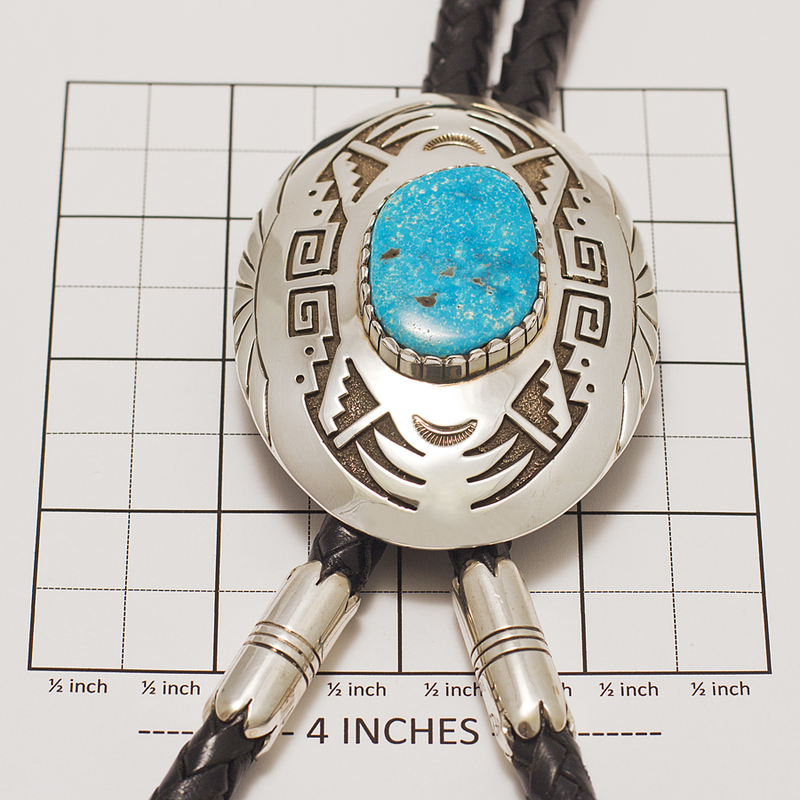 Sam Gray Turquoise Bolo Tie features bright blue and shimmering Sterling Silver. 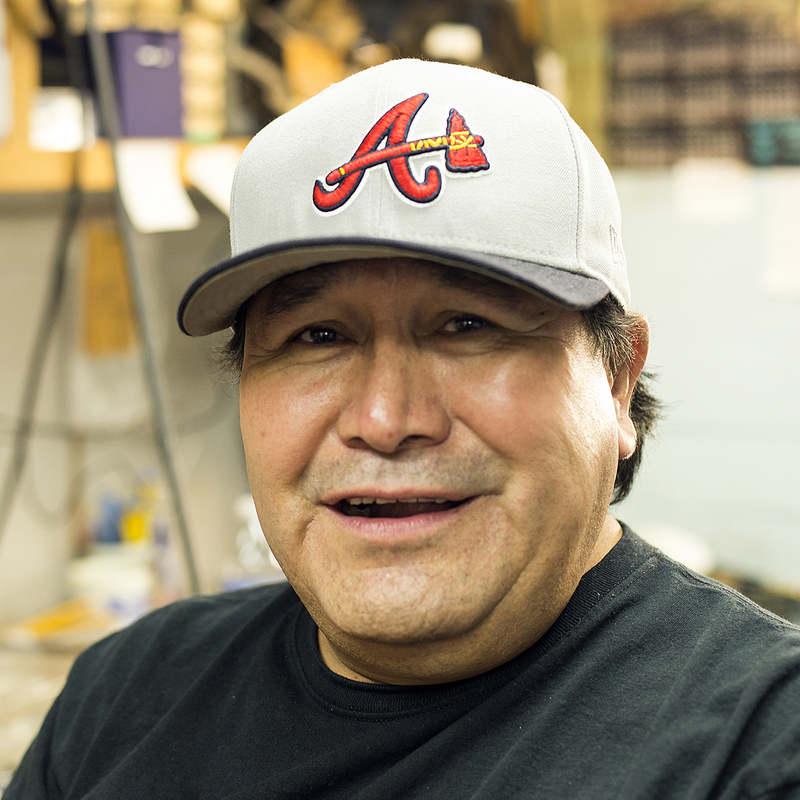 Handmade by skilled Native American Silversmith of the Navajo tribe.